Home to the Rutland family since Tudor times the present Belvoir Castle is the third to be built on this superb site above the lovely Vale of Belvoir. The castle is near the villages of Redmile, Woolsthorpe, Knipton, Harston, Harlaxton, Croxton Kerrial, Bottesford, among others. According to antiquarian John Leland, "the castle stands on the very nape of a high hill, steep up each way, partly by nature, partly by the working of men's hands." The first castle was Norman built by Robert de Todeni who came ashore with William the Conqueror, but his was destroyed during the Wars of the Roses. The second castle met a similar fate during the Civil War and the third, although almost destroyed by fire was extensively rebuilt and restored during the early nineteenth century. 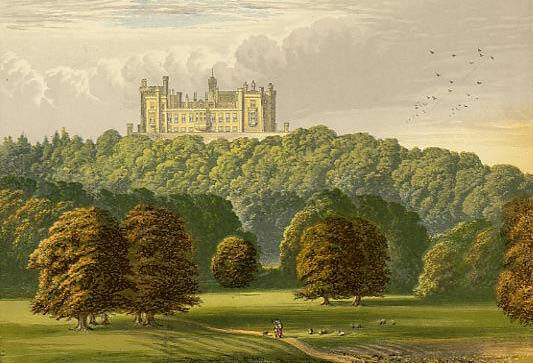 Belvoir Castle in Leicestershire, England from Morris's Country Seats (1880). The exterior of the castle is medieval in appearance with towers, turrets and battlements, but the interior is furnished in a more classical style with painted ceilings, paneling and rich Regency furnishings. 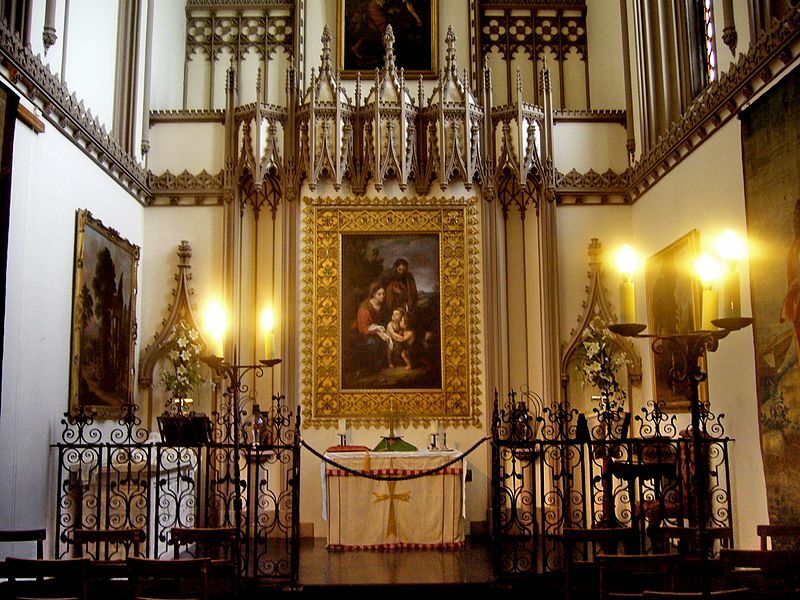 Works of art include paintings by Poussin, Reynolds, Gainsborough, Van Dyck, Hogarth and Holbein, and Gobelin tapestries adorn the walls of the Regent’s Gallery. There is also a military museum devoted to the 17th/21st Lancers. Today, the Manners family still occupy a corner of the castle. 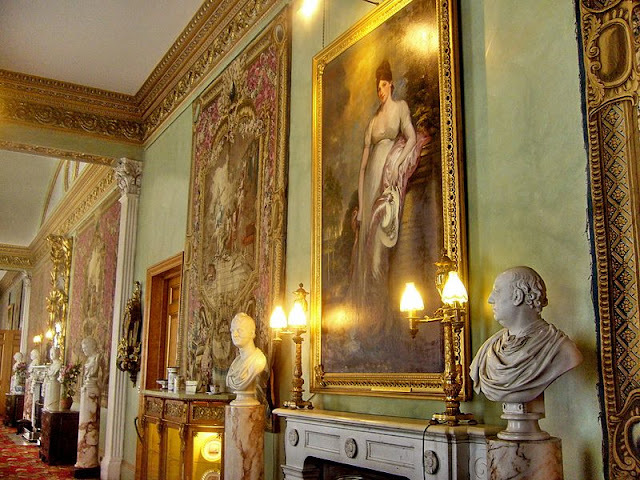 It was also feature in a number of films and television programs, most notably the Little Lord Fauntleroy starring Sir Alec Guinness and The Da Vinci Code (representing Castel Gandolfo, the Pope's summer residence). 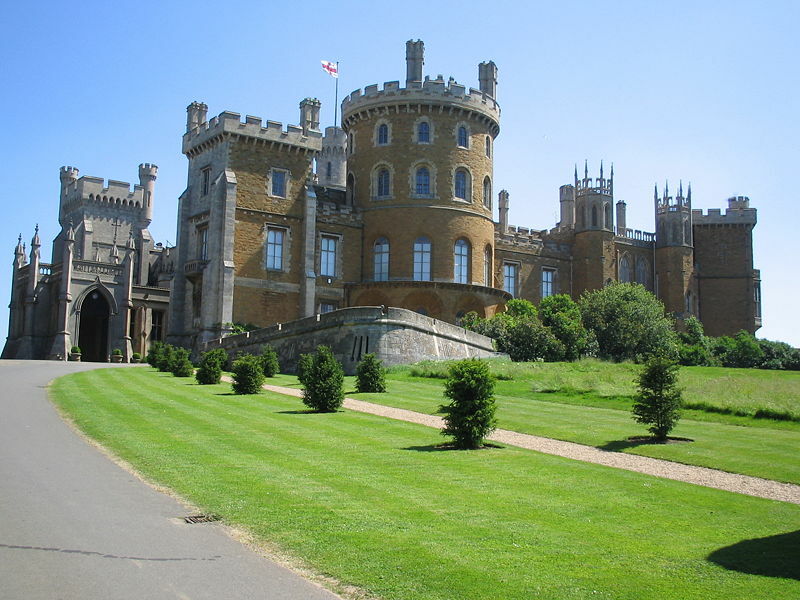 Belvoir Castle also hosts the Belvoir Fireworks, a pyrotechnic and firework competition every mid-August, which attracts thousands of visitors to the castle grounds. Catherine of Braganza—Shall we Have a Cup of Tea?